The English Premier League is undoubtedly the most competitive division across Europe, just as we are witnessing this season as Liverpool and Manchester City continue to fight intensely for the title, with Tottenham Hotspur following closely behind while the likes of Manchester United, Arsenal and Chelsea keep struggling to secure a spot in the top 4 zones of the table. 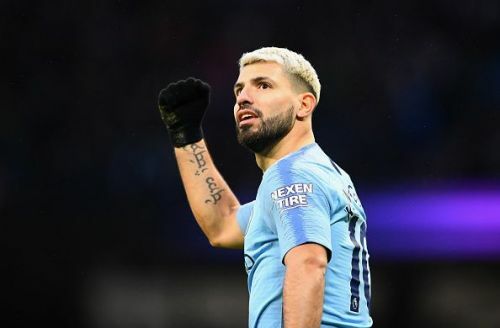 This intense competition is not limited to teams alone, it is also visible among players, especially the attackers who continue to battle against one another in the race for the prestigious Premier League Golden Shoe award. Liverpool winger Mohamed Salah went home with the accolade last season after scoring an amazing 32 goals for The Reds in 36 appearances but he will need to work really hard this term if he wants to defend it as a couple other elite attackers are also making huge statements to claim the accolade this term their impressive efforts in front of goal. It hasn't been the best of outings for London outfit Chelsea so far this season, with The Blues having failed to maintain their decent start to the campaign during the past few weeks but their talisman Eden Hazard has been a bright spot at the Stamford Bridge - courtesy of his incredible exploits in front of goal. 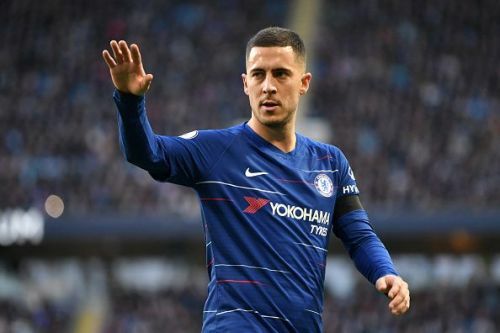 Following a busy summer transfer window in which many expected him to switch to Real Madrid, the Belgian playmaker decided to spend another year at Stamford Bridge and he has been able to remind us all of his incredible abilities in the English Premier League once again. The highly talented attacker has been a huge force in front of goal this season, with his incredible 12 goals in 25 appearances rendering him as one of the top contenders of the Premier League Golden Shoe at the moment.